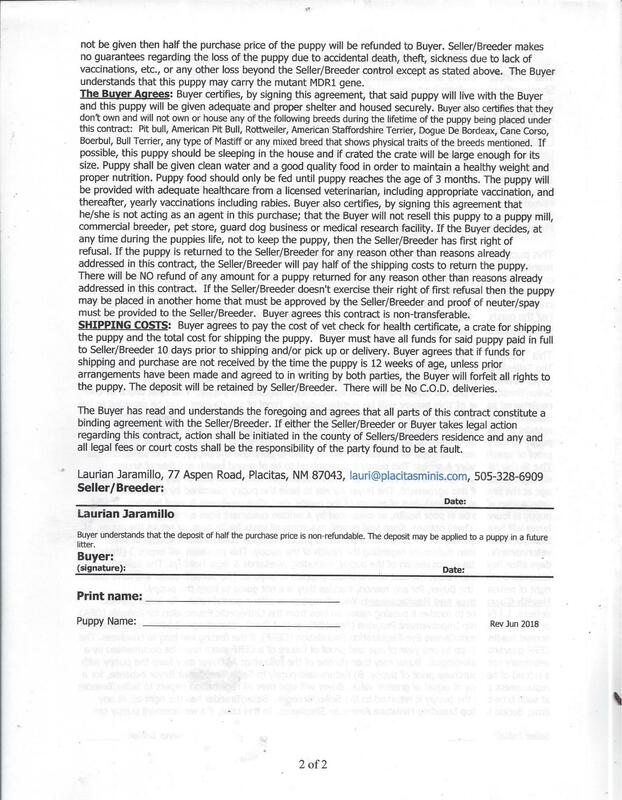 We won't place a puppy without a signed contract. 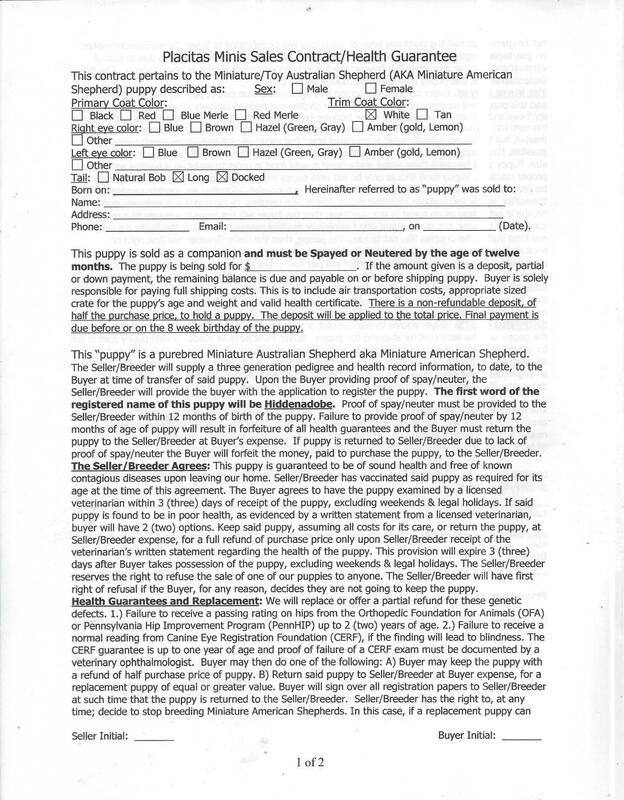 Below is a pet/companion contract. Our show/breed contracts need to be discussed individually.